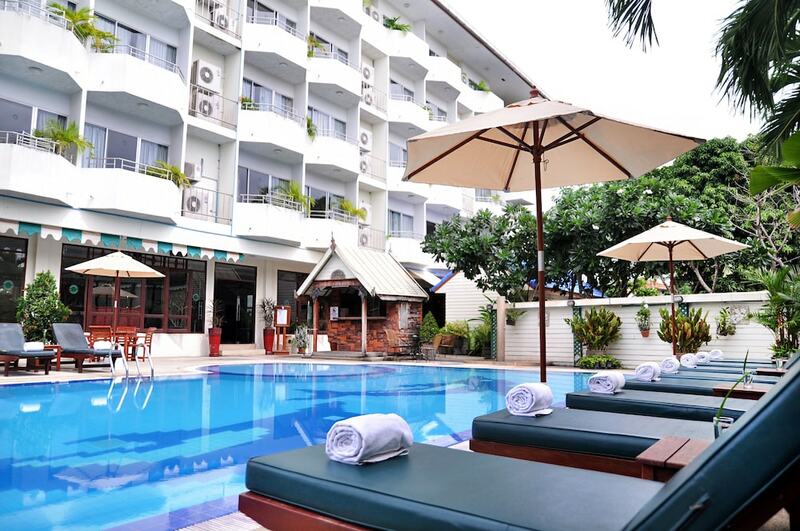 Hotels in North Pattaya benefit from being far removed from the notorious nightlife hotspot of Walking Street while the area still has a lively and exciting atmosphere of its own. This is created by a smaller collection of bars and clubs as well as a good selection of first-rate restaurants, unique shopping opportunities and some of the city’s most interesting attractions, including the world-famous Tiffany Show cabaret and Thailand’s first Teddy Bear Museum. There is also a greater concentration of massage parlours here than anywhere else in the city. As this part of the city is less busy and frenetic than other areas, North Pattaya hotels include many of the top international brands, offering relaxing experiences in opulence and luxury. There is also a good selection of accommodation for those on a budget, though such places are generally much closer to the area’s nightlife and offer less relaxation but more partying.